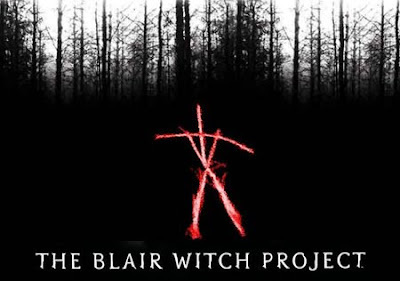 In Burkittsville, Maryland, there is a local legend known as The Blair Witch, this legend inspired the movie “The Blair Witch Project” in 1999, Although the movie was only fictional, there was no explanation of what happened in that town back then. We asked to our Spiritual guides about this movie and the authenticity of the events occurred in 1785, finally the mystery was unveiled and once again reality surpassed fiction. Interlocutor: Here I have a quite interesting topic for you to elucidate. I read what I have for the record: "In February of 1785, in the town of Blair -now (Burkittsville)- , several children accused to an old lady whose name was Elly Kedward, the children said that she had persuaded them with deceits and that she had drawn blood from them in her house. After being declared guilty in a trial on the charge of witchcraft and spiritism, this old woman was banished from the town and abandoned in a forested area during one of the harsh winters of that time. Since nobody saw her anymore, she was declared officially dead. The strange thing was that in the following months many people began to disappear, especially children, and among them those who had accused her, and they never appeared again. Based on this legend a movie called "The Blair Witch project” was made. Ruanel: The movie is completely fictitious. Interlocutor: I don’t have any doubt that the movie is completely fictitious, but what happened behind of those disappearances? Ruanel: This woman you mention (Elly Kedward) was a person very but very exceptional, with a tremendous gift of mediumship, and through this gift she contacted telepathically with extraterrestrials, coincidentally from Vega. Ruanel: Yes, exactly the same race. Interlocutor: Did they abduct that woman? Ruanel: No, they didn't abduct her. They needed to work with the blood of these children to make certain lab tests and they used her as a "delivery woman". She lured several children to her house with deceits and there the aliens extracted blood from them. Interlocutor: Was she doing that voluntarily? Ruanel: Yes, because they had promised her to reward her with many things, among of them to rejuvenate her. Finally the things didn’t work out. It’s necessary to clarify that there is nothing strange or Mysterious here. The Vegans protected this woman for a while, and when she was no useful to them, they simply got rid of her. Interlocutor: And the disappearance of the boys? Ruanel: They were abducted by these aliens. Interlocutor: I suppose that they did it to experiment with them. Interlocutor: And I also suppose that they hid their presence in Blair, making the residents believe that this woman was behind of those disappearances. Ruanel: Exactly and the proof is that the first people they abducted were the children who accused her. For that reason the parents thought that this woman had kidnapped them in complicity with other people. Interlocutor: Concretely, all these facts have nothing to do with witchcraft or spirits of error or something like that. Ruanel: Correct. There is no mystery. Interlocutor: Is there something else to add on this matter? Ruanel: No, because giving more details would be a waste of time. The Ha were the extraterrestrials who contacted with Moses and the Israelites. This entry was posted at Wednesday, September 09, 2009 and is filed under Mysteries and Enigmas . You can follow any responses to this entry through the .